From the ceremony to the reception, the Thompson Center at UNO Wedding Venue is a beautiful, prime location for your wedding day. 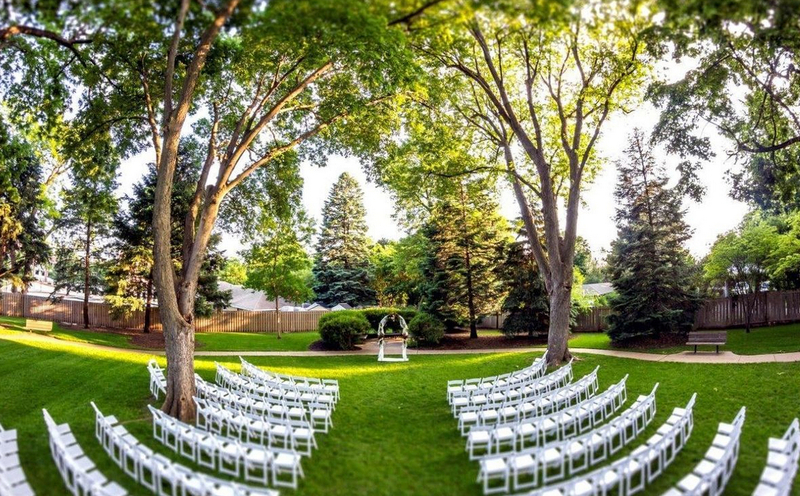 Nearly 1,000 couples have begun their special day at the Thompson Alumni Center, Omaha’s unique setting for outdoor weddings, elegant receptions, and memories to last a lifetime. Outdoor cathedral unique in area and ideal for wedding ceremonies. 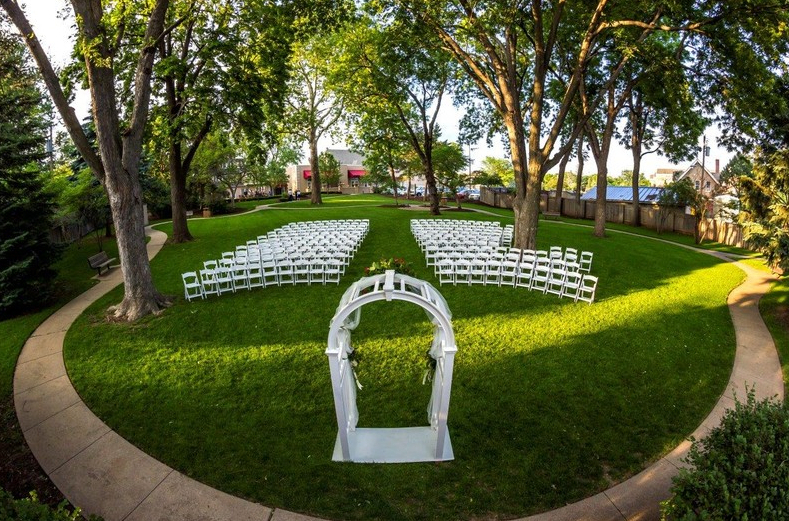 Hundreds of happy couples have been married on our beautifully landscaped grounds, which includes smaller ornamentals, wooden benches and a winding, paved walkway. The grounds adjoin our spacious brick patio and can accommodate up to 300 guests in theater-style seating. Thompson Center at UNO Wedding Venue décor goes beyond the ordinary, beginning at the entrance with a columned portico and continuing throughout the entire building with a distinctively classic and also modern feel. Cocktail receptions on our adjacent patio are very popular. 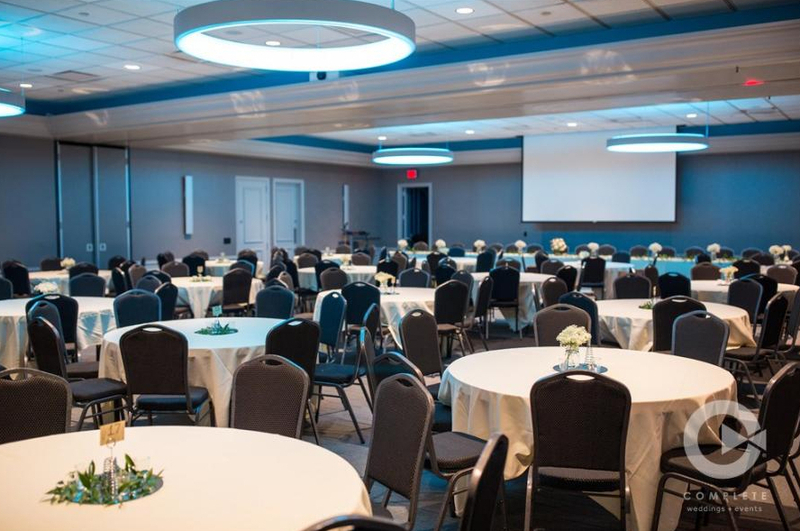 We offer two ballrooms which can accommodate 250 guest each, large ready rooms for brides and grooms and no other event is ever scheduled during your wedding reservation.